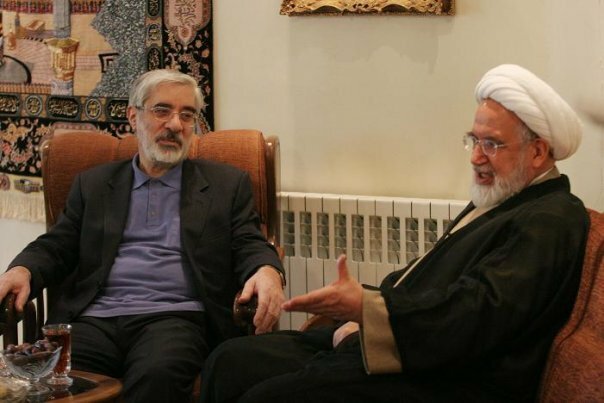 Mehdi Karoubi and Mir Hossein Mousavi in a meeting that was held in Mehdi Karoubi's home on Saturday morning, while expressing sorrow over the execution of some of the citizens, demanded legal investigations about the situations of the political prisoners. Mousavi and Karoubi by pointing out the cases of the two political prisoner who were executed recently stated: "It seems like the [two] prisoners who were executed [recently] were arrested months before the election and their cases had nothing to do with the post-election events, and according to their lawyers they could only have a short meeting with their clients and the legal procedures were not completed for them. It seems like such actions is only to scare people and discourage them from participating in February 11th rally." Mousavi and Karoubi emphasized: "The widespread arrests of the political figures, journalists and academia with the charges of protesting in order to defend their rights is illegal and this is while the process of obtaining confessions from these prisoners is also in contradiction to Islamic principles and the constitution of the Islamic Republic of Iran." Karoubi and Mousavi pointed out the sermons delivered by Ahmad Janati, Secretary General of the Guardian Council and the Imam of Tehran, in this week's Friday Prayer. While expressing regret for the comments made by an Imam in a Friday Prayer they said: "Unfortunately instead of using the Friday Prayer's podium to invite people to good, the Friday Prayer Imam, suggests to the head of the judiciary that if they had not shown weakness on the events of July 9th (18 Tir ) and if the judiciary would have executed some then the events of Ashura would have not happened; and he encourages the authorities to repress and kill people and also justifies the actions of the authorities in executing some citizens with vague and fabricated charges. This is a very sad situation that the platform of Friday Prayer has become a podium for encouraging violence and inviting authorities to execute the citizens!" Mousavi and Karoubi announced that the only way to resolve the current crisis and returning peace to the country is in releasing all political prisoners, opening the free media, letting the parties to become active again and holding free election and stressed that: "Now the majority of the people are present in the scene without any fear in order to regain their rights, and their demand is to hold free elections but it seems like unfortunately the voice of the majority of the people is not being heard [by authorities]." 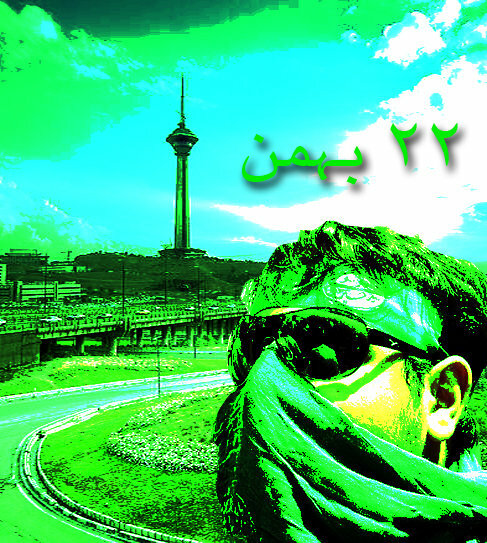 Karoubi and Mousavi announced that the continuation of the current situation will result in harming the foundations of the Islamic Revolution and the Islamic Republic which have been the outcome of the efforts and sacrifices of many brave Iranians and added: "It seems like there is an illusion of conspiracy to overthrow the system among some authorities, and this trend of thoughts will make the country fall and will endanger the foundations of the system." Mousavi and Karoubi emphasised: "The majority of the people only want to regain their rights and are not seeking to overthrow the system, but it seems like the rulers are even feeling danger by this justice seeking voice of the people while the only way to end the crisis is to listen to the voice of the majority and respond to it [appropriately]." It is also important to note that Mousavi and Karoubi invited all the people to participate in February 11th rally.